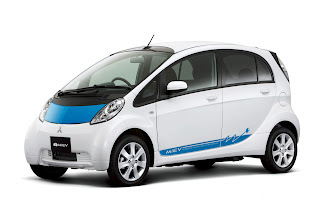 Having sold 99 iMievs in January the Mitsubishi EV outsold the Peugeot 107 (87 cars), Toyota Aygo (60), Citroen C1 (54), Toyota IQ (29), Suzuki Alto (27) and Fiat 500 (25). The iMiEV is on sale in 14 European countries: Austria, Belgium, Denmark, France, Germany, Ireland, Italy, the Netherlands, Norway, Portugal, Spain, Sweden, Switzerland, United Kingdom. Mitsubishi plans to sell 5,000 i-MiEVs overseas this fiscal year, including models built for PSA.